GREAT MILES 23,793! Navigation, Heated Leather Seats, Premium Sound System, iPod/MP3 Input, Smart Device Integration, Dual Zone A/C SEE MORE!KEY FEATURES INCLUDEBack-Up Camera, Turbocharged, Premium Sound System, iPod/MP3 Input, Onboard Communications System, Aluminum Wheels, Dual Zone A/C, Smart Device Integration, Brake Actuated Limited Slip Differential Rear Spoiler, MP3 Player, Privacy Glass, Keyless Entry, Child Safety Locks. OPTION PACKAGESEQUIPMENT GROUP 401A Front 180 Degree Camera, split view and camera washer, Hands-Free Liftgate, HID Headlamps w/Auto High Beams, Enhanced Active Park Assist System, parallel parking, park out assist, reverse perpendicular parking and forward and side sensing systems, Heated Rear-Seats, Rain Sensing Windshield Wipers, Lane Keeping Assist, Technology Package, Remote Start System, Radio: AM/FM Stereo w/Single CD/Navigation, voice-activated touch-screen navigation, Integrated SiriusXM Traffic & Travel Link, SYNC Services are not available in Alaska or Hawaii, Blind Spot Information System (BLIS), cross traffic alert, Auto-Dimming Driver's Sideview Mirror, Power Converter 110V Outlet, Heated/Cooled Front Seats, EBONY, PERFORATED LEATHER-TRIMMED HEATED SPORT SEATS unique sport perforation, sueded inserts, 10-way power driver seat w/memory setting (fore/aft/recline/lumbar/up-down/tilt), 10-way power passenger seat (fore/aft/recline/lumbar/up-down/tilt). VEHICLE REVIEWSGreat Gas Mileage: 27 MPG Hwy. VISIT US TODAYNorth Park Volkswagen of Dominion is located at 21315 West Interstate 10, just east of Friedrich Park. Volkswagen is widely recognized for quality, reliability, value, and an award-winning commitment to customer satisfaction. Our state of the art dealership has the largest VW inventory in Central Texas. Visit us at www.northparkvw.com to schedule an appointment with one of our VW Experts. Please confirm the accuracy of the included equipment by calling us prior to purchase. CARFAX 1-Owner, GREAT MILES 45,056! Onboard Communications System, CD Player, iPod/MP3 Input, Keyless Start, Dual Zone A/C CLICK NOW!KEY FEATURES INCLUDEAll Wheel Drive, Back-Up Camera, Satellite Radio, iPod/MP3 Input, CD Player, Onboard Communications System, Keyless Start, Dual Zone A/C, Smart Device Integration, Brake Actuated Limited Slip Differential. Rear Spoiler, MP3 Player, Keyless Entry, Privacy Glass, Child Safety Locks. 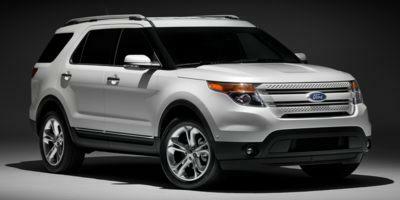 OPTION PACKAGESENGINE: 2.0L I4 ECOBOOST Twin scroll (STD), WHEELS: 18" ALUMINUM PAINTED SPARKLE SILVER Split-spoke (STD). VEHICLE REVIEWSEdmunds.com explains "Front-row occupants sit on supportive bucket seats, and an additional inch of rear legroom provides comfortable accommodations for adults riding in back. The Edge is also wide enough to make three-across second-row seating a viable proposition for families of five.". Great Gas Mileage: 28 MPG Hwy. BUY WITH CONFIDENCECARFAX 1-Owner OUR OFFERINGSNorth Park Volkswagen of Dominion is located at 21315 West Interstate 10, just east of Friedrich Park. Volkswagen is widely recognized for quality, reliability, value, and an award-winning commitment to customer satisfaction. Our state of the art dealership has the largest VW inventory in Central Texas. Visit us at www.northparkvw.com to schedule an appointment with one of our VW Experts. Please confirm the accuracy of the included equipment by calling us prior to purchase. ONLY 33,344 Miles! Heated Leather Seats, Premium Sound System, Back-Up Camera, Satellite Radio, Bluetooth, iPod/MP3 Input SEE MORE!KEY FEATURES INCLUDE4x4, Power Liftgate, Back-Up Camera, Turbocharged, Premium Sound System, Satellite Radio, iPod/MP3 Input, Bluetooth, Aluminum Wheels, Remote Engine Start, Dual Zone A/C, Hands-Free Liftgate, WiFi Hotspot, Brake Actuated Limited Slip Differential, Cross-Traffic Alert. Rear Spoiler, MP3 Player, Remote Trunk Release, Privacy Glass, Keyless Entry. OPTION PACKAGESCHARCOAL BLACK, HEATED LEATHER-TRIMMED BUCKETS W/60/40 REAR SEAT 10-way power driver and passenger seat w/memory, driver seat back map pocket and lumbar support, and passenger seat power lumbar adjust. Ford Titanium with Tuxedo Black exterior and Charcoal Black interior features a 4 Cylinder Engine with 173 HP at 5700 RPM*. 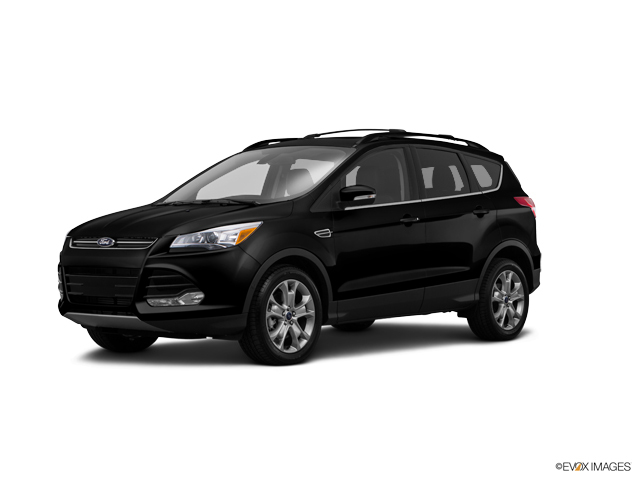 EXPERTS ARE SAYINGEdmunds.com explains "The 2015 Ford Escape is one of our favorite small crossover utility vehicles, thanks to athletic driving dynamics, an inviting cabin and useful high-tech features.". Great Gas Mileage: 29 MPG Hwy. BUY FROM AN AWARD WINNING DEALERNorth Park Volkswagen of Dominion is located at 21315 West Interstate 10, just east of Friedrich Park. Volkswagen is widely recognized for quality, reliability, value, and an award-winning commitment to customer satisfaction. Our state of the art dealership has the largest VW inventory in Central Texas. Visit us at www.northparkvw.com to schedule an appointment with one of our VW Experts. Please confirm the accuracy of the included equipment by calling us prior to purchase. If you're in the market for a new or new-to-you car, it's time to visit North Park Volkswagen in San Antonio, TX. With impressive inventories of new, used and certified pre-owned Volkswagen vehicles, there's something for everyone on our lot. Visit our Volkswagen dealership near Boerne, TX, to find the used Used 2015 Ford vehicle of your dreams! Whether you want a zippy little sedan like the Volkswagen Jetta or are more interested in an SUV like the VW Tiguan, our helpful and friendly sales staff will work with you to narrow down your options and select a vehicle that hits every point on your checklist. Don't hesitate to reach out at any time to learn more about the used Used 2015 Ford vehicles we have for sale here in San Antonio, or the specials we're currently offering.